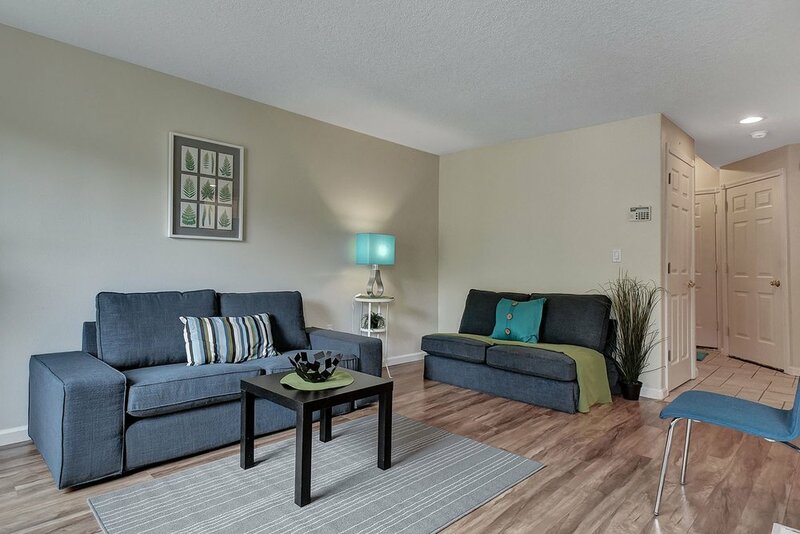 Bright, clean, move-in ready gem nestled in the heart of hip Alberta district. Enjoy peace and quiet with all the fun of Alberta just steps away (Walk score of 90!). Cathedral ceilings and windows bathe this 3 bedroom, 2.5 bath townhouse in natural light year-round. While the master suite with private full bath and its own sitting porch provide respite from the bustle of the home. Updated laminate, carpet, and vinyl flooring; updated paint; fully fenced-in grassy back yard; a/c; fireplace; kitchen bar; abundant storage in attached garage or large outdoor shed; highly desirable end unit with three porches to enjoy a morning coffee or an evening glass of wine. Transit score = 57; bike score = 83. Only two owners, including mother of original builder. A must-see!